Welcome to the Buttevent RC 4 Mile Road Race 2019. 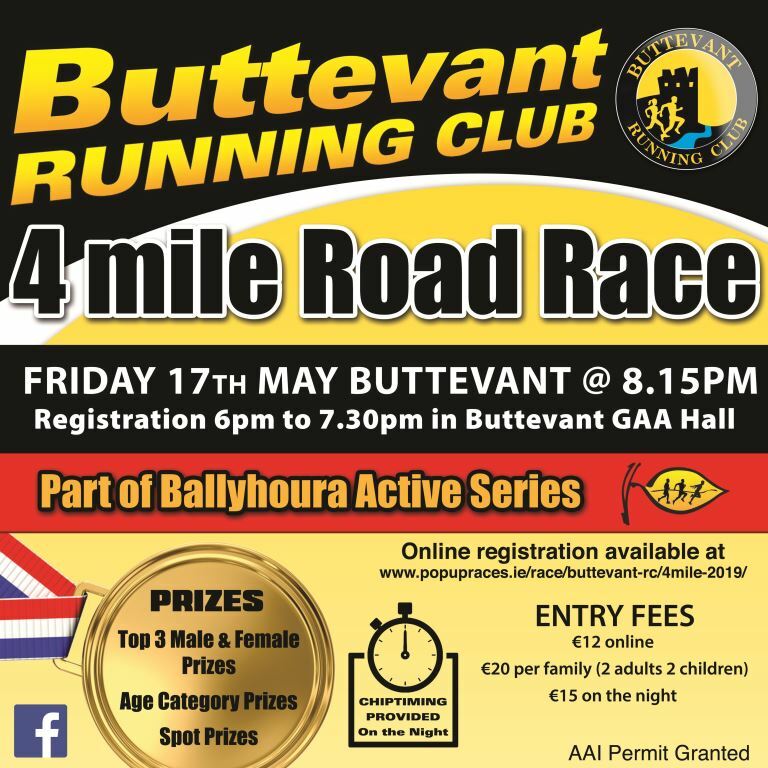 The event is a fundraising race for Buttevant RC. It’s our second year running this race and delighted to say our race was voted as the 3rd best 4 mile in Cork by a poll undertaken by Running in Cork. 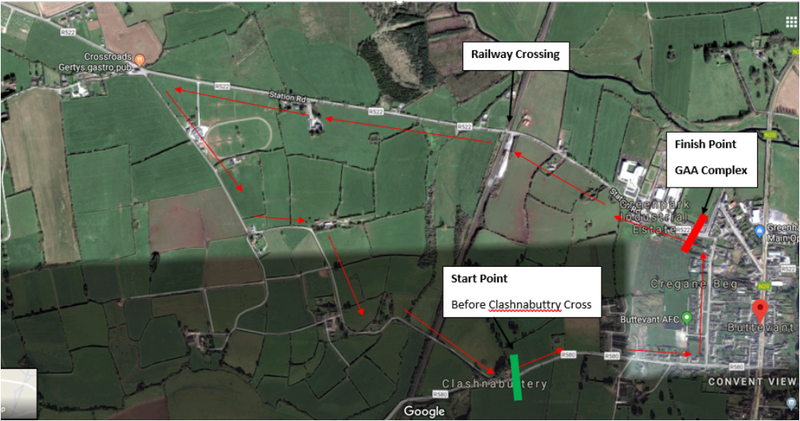 The route is a relatively flat 4 mile loop, starting on R580, at the end of the town on the Kanturk road, turning left onto New Street, left onto R522, turning first left at The Crossroads Bar, bringing you back to the R580 past the start point, left again at New Street. Finishing near the Buttevant GAA pitch. Ample parking near Race HQ (Buttevant GAA complex). Off road warm up area available around the pitch. Post-race refreshments for all, including a Gluten Free section & prize giving in the GAA Hall. Registration available on the evening of the race at €15.00 per entry.